Potato pancakes are simple and easy. Serve the potato pancakes up with your favorite condiment. Personally, I always use ketchup. 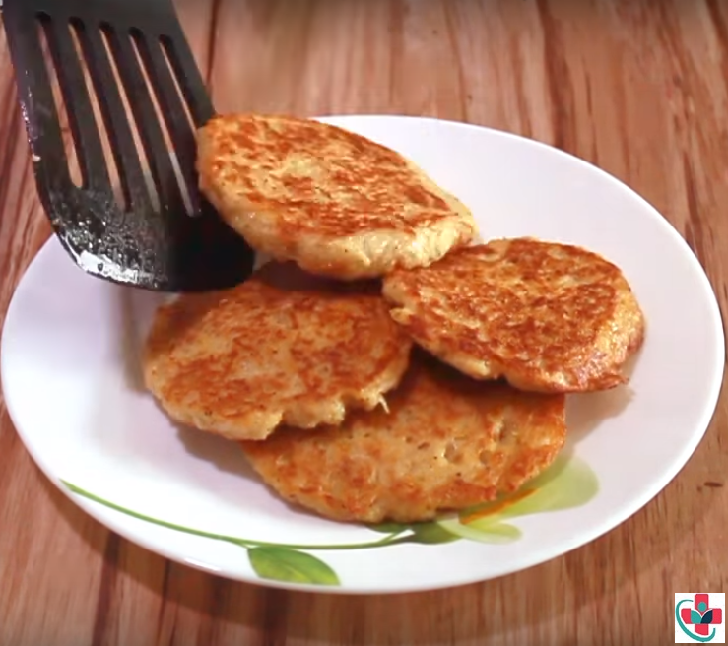 Here are the ingredients of Potatoes cakes. NOTE: If you like a spicy dish, you can add seasonings like nutmeg and cinnamon in the potato mixture. Beat eggs in a bowl then add parsley, pepper, salt plus grated potatoes and mix well. Heat oil over medium heat in a pan. Pour a spoonful(big spoon) of potato mixture in pan. Fry each side till golden brown. Repeat step 3 to make more pancakes and serve.